Born: September 17, 1881 in Sandwich Ma. 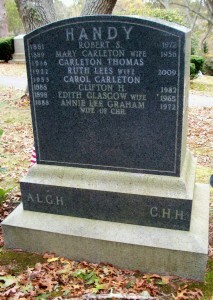 Died: July 2, 1972 in Boston Ma. 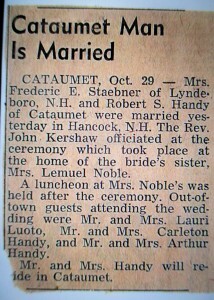 at 90 yrs, 9 mos, 15 d.
Married (1): September 22, 1917 in Bourne Ma. 4. Isabel Foxcroft Handy Ballentine; (July 26, 1923 – January 15, 1984); Married George Francis Ballentine, Jr. WW ll (1917 – 1993) (George Francis Ballentine, Sr. & Elsie Avis Leonard) in Bourne Ma. 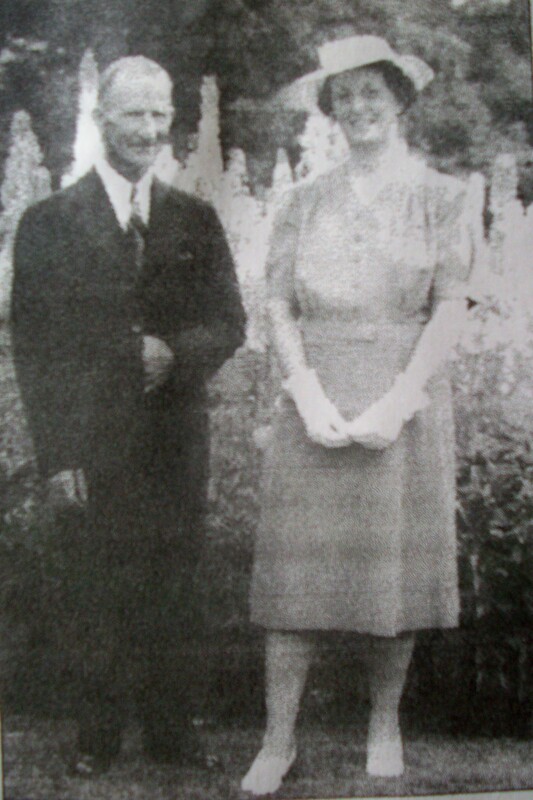 on February 28, 1942; Isabel & George are buried in Cataumet Cemetery. 6. 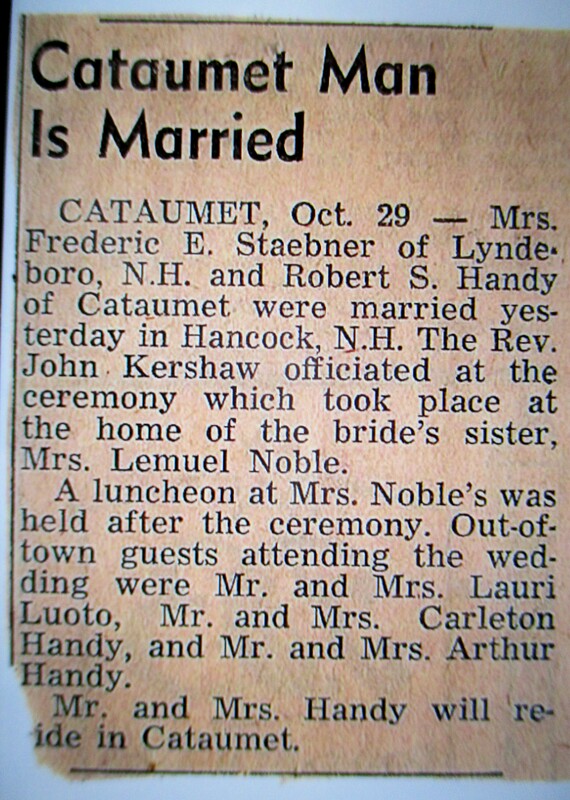 Wallace Hathaway Handy; (August 2, 1930 – November 30, 1961); Married Catherine E. Hickey (1930 – 2009) in Holyoke Ma. on November 12, 1955; Wallace, a high school teacher, died in Bristol Ct.; Wallace & Catherine had 3 children. To: Florence Moulton Lane Staebner (1887 – 1972) (Lemuel Hinman Lane & Ellen/Nellie E Moulton); Florence married (1) Frederic Emerson Staebner (1886 – ?) 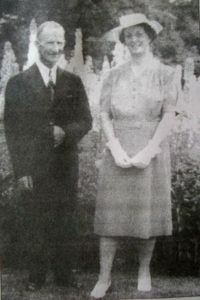 (Frederick W. Staebner & Annie P. Emerson) in Boston Ma. on December 27, 1916.